4 Beds 4 Baths 1 Partial Bath 3,030 Sq. 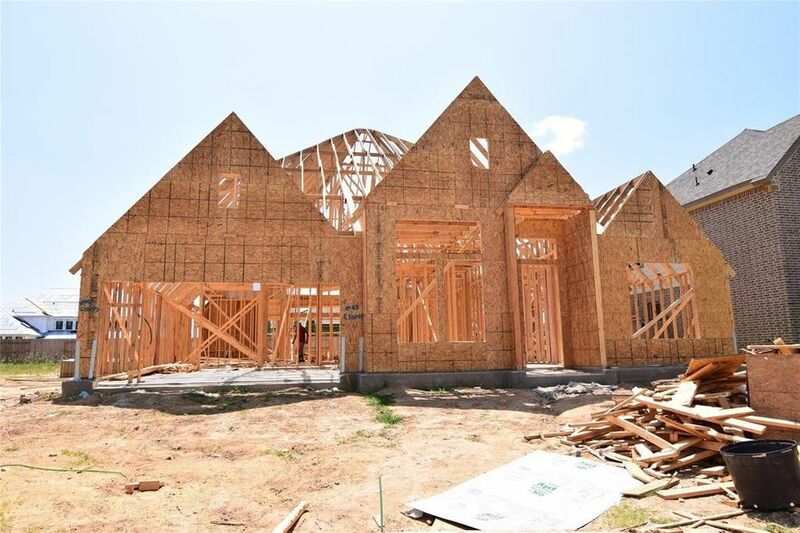 ft.
RAVENNA HOMES presents this 1-story home with wood floors and an oval ceiling upon entry. Wood floors also flow throughout the library, family, dining and kitchen breakfast. This showcase kitchen includes gray painted cabinets, granite countertops and stainless steel apppliances. An expansive family room with floor to ceiling windows and plenty of room for entertainment gives access to an extended covered patio for relaxing. Call today!